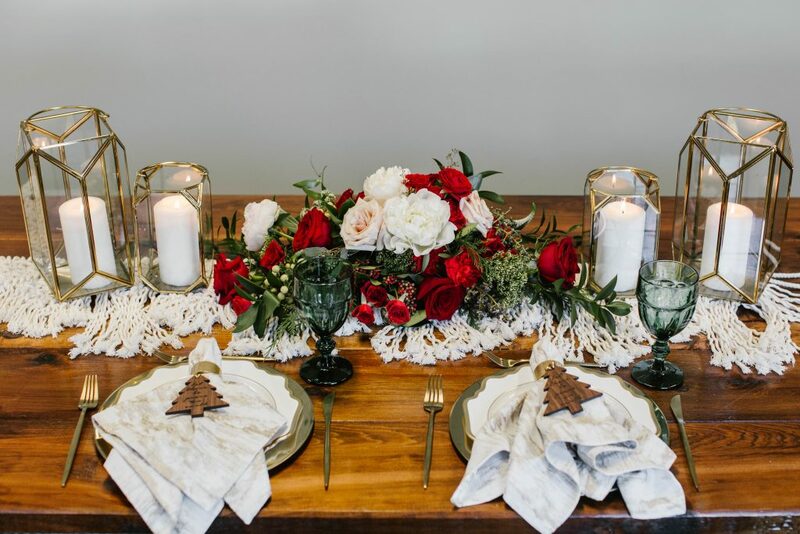 We are in our final week of our 12 Days of Christmas Tabletops series as we approach Christmas Day, and today we have made it to 5 Golden Rings! 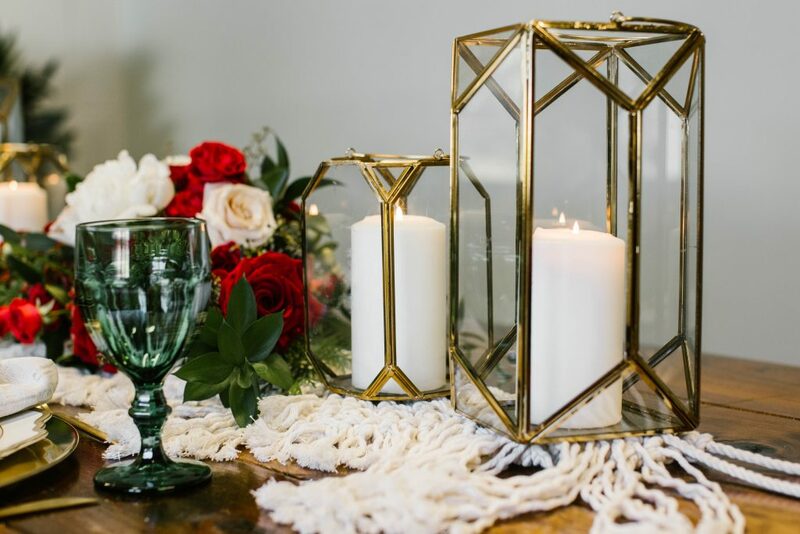 A mix of elegance and boho style, this holiday table mixes wood and macrame details with brassy gold details to create a warm and welcoming tabletop style. 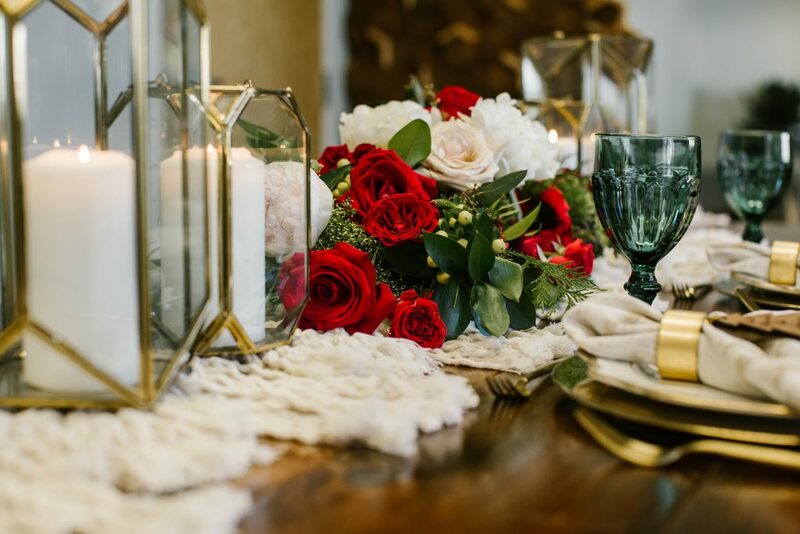 We love the combo of the lantern, floral, and macrame centerpiece elements that offer several layers of interest to the tablescape. 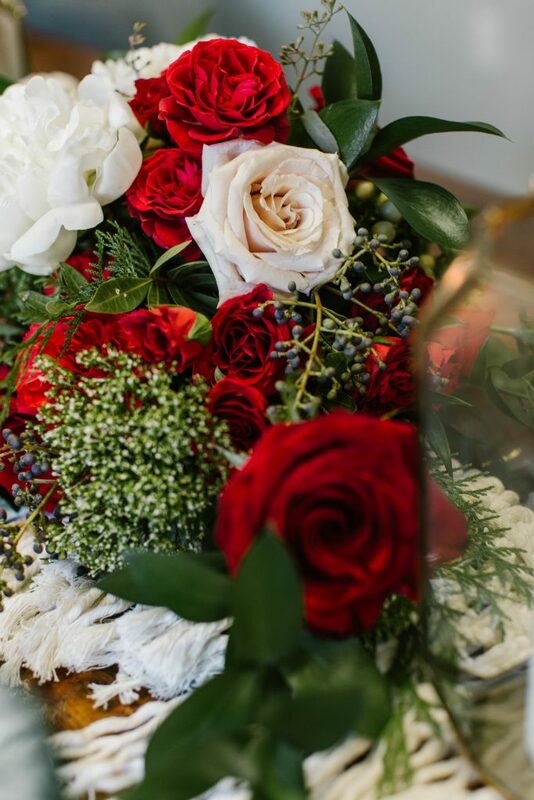 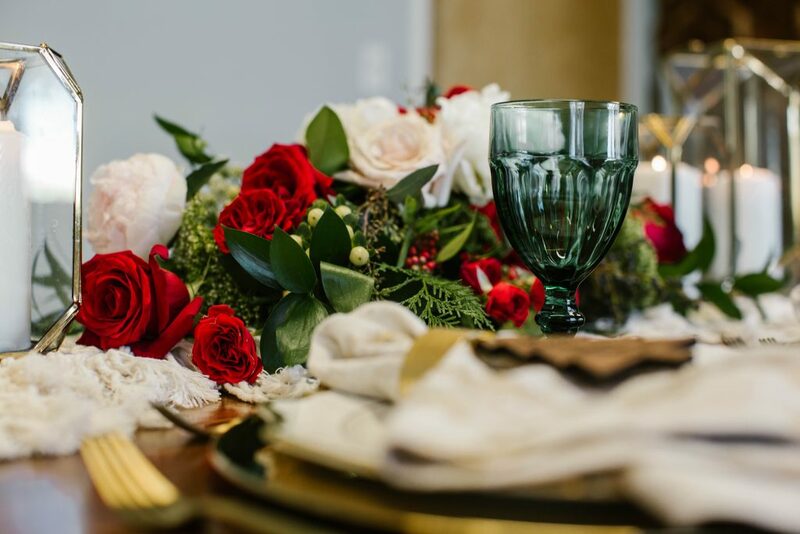 Enjoy the details that Jenna Nicole Photography captured, and make sure you read more about the design choices that Ashton Events and Treasury Rentals made when creating this look. 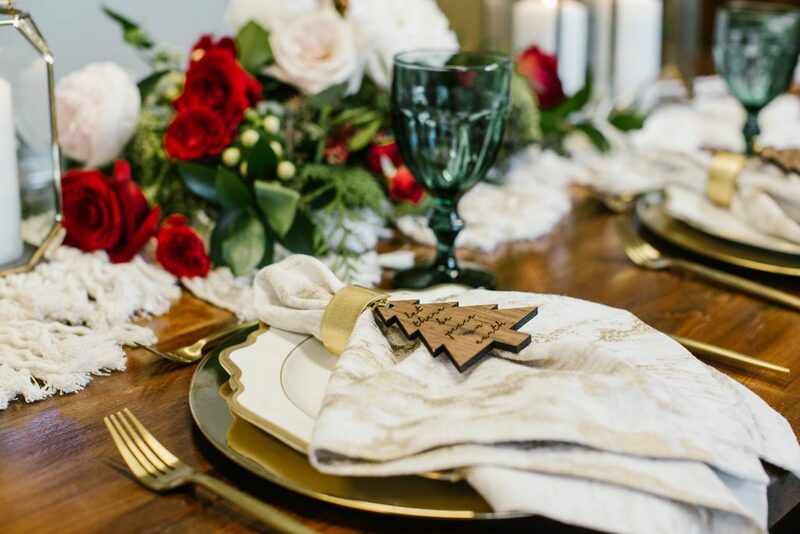 We wanted to keep the place settings relatively simple, while still making them feel special. 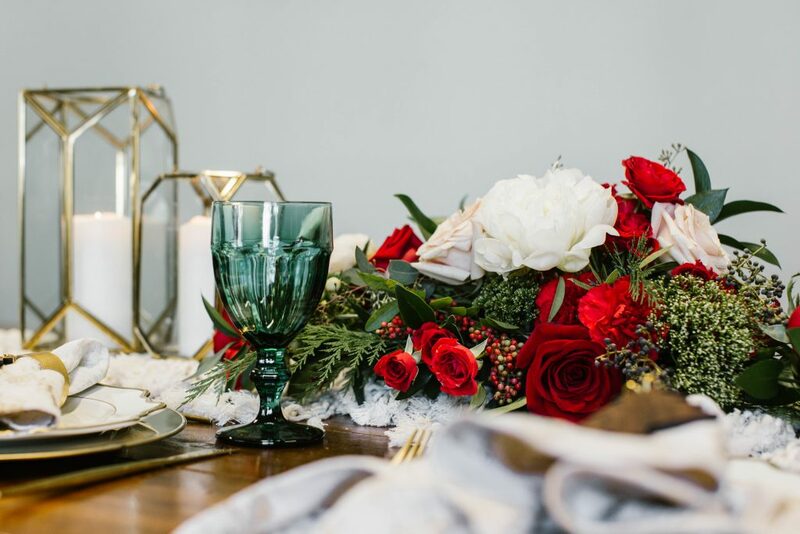 By using our gold metal charger plates paired with our Ella dinnerware, we were able to add a touch of elegance to this boho Christmas style without making it feel too formal. 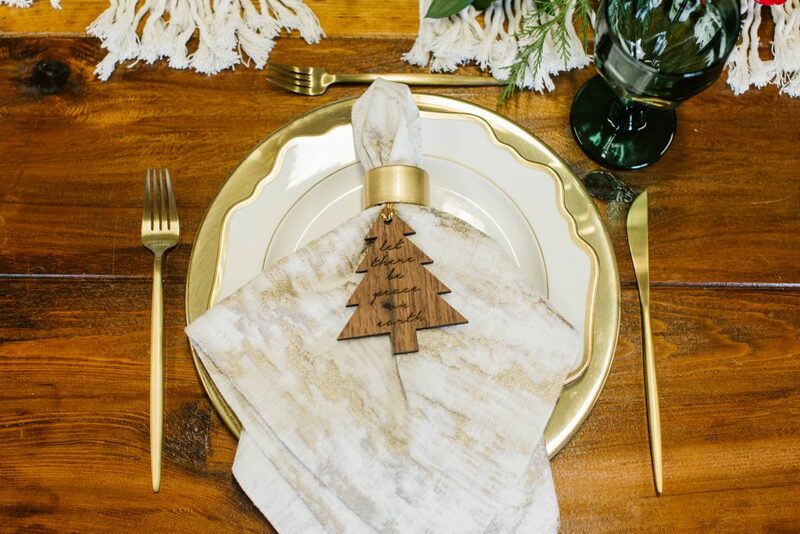 We loved how the napkins were tucked into the golden rings, and adorned with wooden Christmas tree ornaments as a little gift to the guests joining the table. 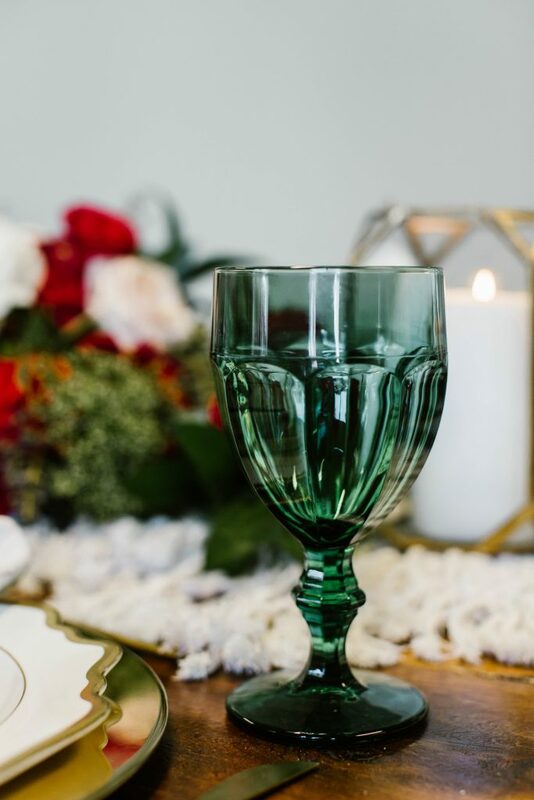 It again made for a created a perfect balance of casual elegance in the design.